I was always interested in eating candy. A childhood infatuation with California’s See’s Candies was probably responsible–their spiffy black and white shops were a calm oasis in 1970s Berkeley. Stepping into the store was like going through a time warp. Outside the streets were full of hippies in bellbottoms; the scent of patchouli, meant to mask certain other scents, wafted through the air. Inside See’s a woman in her white dress and black bow tie presided over the neatly displayed plates of chocolates. She still wore her hair in a beehive. And then there was their slogan: ‘A Happy Habit’. Perhaps it was a bit ironic at that time, but I was happy to get hooked. Even an ill-advised bet in high school that I could eat a pound for lunch didn’t dissuade me from eating candy. (I lost the bet, but didn’t learn my lesson). At some point I became interested in making candy–it made eating candy more reputable. When I ran across Anita Prichard’s Complete Candy Book I figured I’d found a way to eat as much candy as I liked. Prichard’s book is full of recipes for fondants and fudges, brittles and marshmallows. I experimented a bit, flavoring fondant with Fernet Branca. Enrobed in chocolate it made a nice digestive candy–though admittedly an acquired taste. On my lazier days I was drawn to her Kentucky Colonels. They had only 4 ingredients: butter, sugar, bourbon, and pecans. And get this–you don’t even cook it. 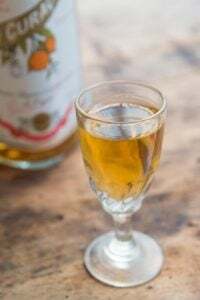 It’s a little like swiping your finger across the butter dish, trailing it through a bowl of sugar, and dipping it into a glass of Maker’s Mark. Prichard’s recipe, though, gave eating raw sugar and butter legitimacy. I was hooked again. But best of all are her maple creams. Like penuche, or brown sugar fudge, they’re a perfect candy. You can stir up a batch in the afternoon, just for fun, and curl up on the couch with them after dinner. Or save a few. Dipped in dark chocolate and garlanded in chopped nuts they’ll look as elegant as if they just put on their best black dresses and strings of pearls, and are stepping out for a night on the town. I don’t know about you, but I always feel a little urgency with maple syrup. Every couple years there are dire warnings of the end of maple syrup; acid rain and global warming are no friends of the sap production. I figure I’m left with no choice but to eat and enjoy maple syrup or sugar whenever I can. 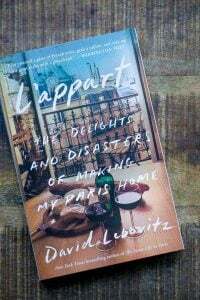 Apparently I gave this recipe to David, back when we both worked at Chez Panisse. The pastry corner was between the office where I worked and any other place I needed to go. Probably during one of my frequent visits to the pastry corner I overheard him talking about maple. Or maybe I mentioned the maple creams, hoping to impress him. Whatever the circumstances were, my intent was purely self-serving. Anything that might improve my chances at scoring a sliver of almond tart, or, better yet, a small dish of David’s lime mousse. I did love his lime mousse. Update: A few readers have noted that they had some questions about the recipe, including getting the candy to firm up properly. Candy making can be tricky and I’ve made the recipe several times with no problems but readers may wish to read through the comments, with Giovanna’s responses, before proceeding. Because it’s not my recipe, I can’t troubleshoot it. 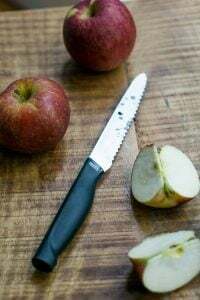 But if you have further questions about the recipe, or the results, it’s best to consult Giovanna’s notes in the comments or the book where the recipe is from: Anita Prichard’s Complete Candy Book –david. 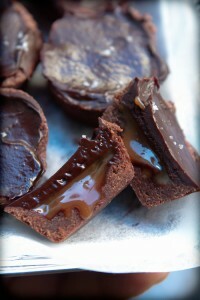 Adapted from Anita Prichard’s Complete Candy BookGiovanna sometimes dips them in bittersweet chocolate, as shown in one of the photos. Simply melt chopped chocolate in a clean, dry bowl, until smooth, then dip each piece in the melted chocolate. If you want to temper the chocolate, see my instructions on How to temper chocolate.These are great on their own, or as part of a candy assortment for any holiday celebration. 2. 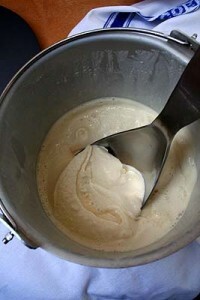 In a small heavy-duty saucepan (about 2 quarts) mix together the maple syrup, sugar, cream, and corn syrup. Fit a candy thermometer to the side of the pan and heat until the temperature reaches 236F (114C), tilting the pan to submerge the bulb, if necessary, to gauge the correct temperature. 3. Remove the pan from the heat and transfer the mixture into the metal bowl of a standing electric mixer. Submerge the thermometer in the candy mixture until it has cooled to 110F (43C), which will take a while. 4. When the temperature is 110F (43C), add the vanilla and beat the mixture until it just begins to thicken and loose its gloss. Overmixing will make it grainy, so keep an eye on it. 5. Stir in the nuts and spread the mixture into the square pan, patting it in flat with your (clean) hands. 6. Allow to cool completely, then remove from the pan and cut into squares. To remove it from a square pan, run a sharp knife around the inside of the pan to loosen it, then cut it in half. Use a metal spatula to pry the candy loose a bit (it will be flexible). Invert the pan a shake it to coax the maple cream candy out. Oh so delicious looking! I adore See’s by the way…I would kill for one of their molasses chips right now. Yes David, I think whiskey would go perfectly with these. Though I would suggest making them before drinking the whiskey. Because I can see myself, in about two hours, trying to figure out how to make them without a candy thermometer. Which can only end badly. Or end up in drunken kitchen utensil shopping. Candy is my downfall. I make myself sick eating it. I can never get enough. My first response was “Everything goes with Whiskey!”. But after reading about these – I think maple creams would be especially great with Whiskey. I’ve never been much for making candy but this would be a fantastic combination. Definitely making it with the dipped chocolate. Like mother like daughter – I love Lindsey Shere’s recipes. That’s a really clever way of saying it – love it. See’s Candy was a luxury when I was a teenager. 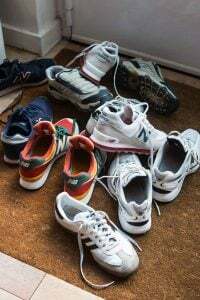 We only got to have those when someone carted them all the way to the Philippines as a gift. I always loved Maple Creams and even though I’m on a diet now, there’s a Candy Thermometer arriving here on the 30th…. So on our to buy list is a candy themometer. 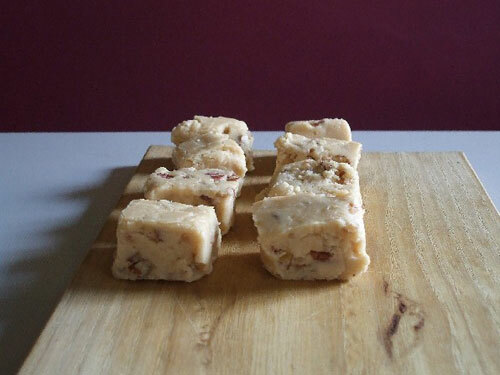 This is the second maple fudge recipe we’ve read today. Your chocolate dipped, pecan topped version is the winner! Oh. My. Gosh. Those look incredibly tempting! My mouth is watering. Seriously. I just forwarded this to my nephew who is “sugaring” in Morrisville Vermont at the moment. It looks like a good year for maple syrup so far. Maybe he will try this, it sounds like something from my Vermont childhood only it had butternuts in it. Heaven…. Mmmmm, fudge! 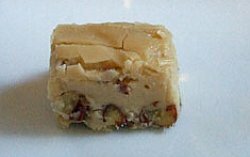 I made maple fudge one time because I had a craving for maple sugar candy and couldn’t find it anywhere in CA when it wasn’t Christmas. It turned out pretty good for an experiment. I used lowfat milk (I had toyed with using water) and half light brown sugar then added a little butter on the cooling candy for creaminess. It was a little too creamy though and not mapley enough..I was looking for that deep maple flavor and grainy sugary texture of maple sugar. I know now that I could have beaten it a little longer and would have gotten the texture closer. I’ve eyed this recipe here for a while now. Question? Can the maple syrup be reduced to concentrate the flavor more? Mmmmm, those look amazing, just in time for Maple Month! MMMMMMMMMM–I will have to make those. I love maple anything! I do love See’s Candy but the Bordeaux’s are my absolute favorites! I have been trying to find a recipe for the Bordeaux’s. I think they may be a brown sugar fudge. I thought something like that might be tasty inbetween a chocolate macaron…..
delicious sounding & thank you so both much for sharing! I grew up on See’s too, although my See’s experience was more in shopping malls than the patchouli and herb scented streets of Berkeley. How surreal to mix the two elements – I love it! There is a See’s within a mile of my house, and it takes all of my will not to go there. I am looking forward to the upcoming Easter/Ostara holiday – that’s when See’s outdoes themselves. Those wonderful chocolate eggs!! Divinity, Mayfair, Vanilla Cream with Chocolate Chips, and Rocky Road!!! Oh, and those little pastel white chocolate covered orange creams… Help me, Rhonda! This recipe looks great, and so do the photos. Fun post, too. Thank you, Giovanna and David! 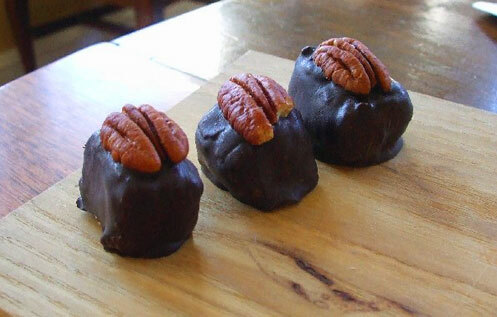 How perfect: Maple, Pecans, Chocolate and Whiskey! Oh, yes!!! That’s the ticket! Hope your Paddy’s Day was fab! I have recently been gifted a bottle of Massachusetts maple syrup and a box of Texas pecans. Mason-Dixon Line be damned! My girlfriend (who’s inlaws own a sugar shack) recently made maple cream by cooking and stirring the syrup. I stopped by her apartment one night for a taste. First, I had a scoop of the thick peanut-butter-like cream off a spoon and it was sublime. And then she put a little mound of the cream on a square of dark chocolate and topped it with a toated almond—it was even sublimer (not a word, I know). All that to say, these maple creams are tempting. 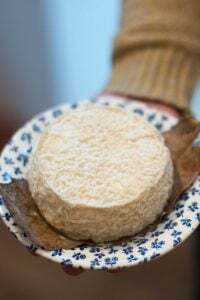 Giovanna’s Maple Creams could easily become a new favorite in Vermont. I agree with Leslie that these are spectacular. I remember buying maple sugar candy in maple leaf shapes for my kids many years ago in Vermont, but this is so much more sophisticated and heavenly. I’m headed to Vermont this weekend for my in-laws anniversary and will have to add this to what I am making and bringing the luncheon in their honor at their synagogue. Bravo David and Bravo Giovanna!! 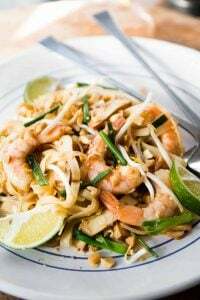 I will bookmark this recipe, I’m sure my Canadian husband will love it! Camille–Good news! According to Wikipedia, the Mason-Dixon line extended west to West Virginia, which technically makes Kentucky (and her bourbon) a sort of Switzerland. For our maple/bourbon purposes anyway. Mama JJ–lucky you–there’s a lot to be said for friends with sugar shacks. And I think sublimer probably ought to be a word, at least where maple (or bourbon) is concerned. Susan–About concentrating the flavor. My understanding is that the syrup is the concentrated flavor you get from boiling sap–I suppose maple sugar is even more concentrated? That might be an option. And be sure to use the darkest grade (in the US I think it’s B, though I hear there’s also a commercial grade C) available–they have the stronger flavor. Ah See’s. I think I’ll go today. Laura and Debbie, I too have a weakness for molasses chips and Bordeaux. But my very favorite is the butterscotch square. Oh, and their sandy P-nut crunch. And the brittles–love California brittle. But my guiltiest pleasure is the Scotchmallow. And the shockingly yellow apricot bonbon. It’s a fruit serving! Last year at Christmas I finally tried their mincemeat chocolates and fell in love. Then this Christmas they didn’t have them. I nearly cried. sugar and walnuts. I’ll have to try this one! thx! Euuuuuuuuuuu……these look so great! I have a well worn candy thermometer, actually three so will be trying these VERY SOON. AND YOU BAD BOY had to remind me of See’s Candies….I grew up eating them, then moved to Argentina for 25 years…then Returned to CORONA DEL MAR, California and drove by a SEE’S every day, with ample parking! I limited myself to once a month. Nothing in See’s has changed, not even the hairstyles, it’s perfect. Here in Andalucia (at least El Puerto) there are NO candie shops. C’est la vie as the French say. DRAT DOUBLE DRAT as I say! I’ve been seeing these sort of maple treats around the blogosphere lately and am totally dying for some now. All I need is the GOOD maple syrup. As a California girl I have had my share of See’s and other candies and have eaten MORE than my share in many a sitting. I never learn the lesson. I still love it all! Maple creams! Now you’re talking (though that’s a response I tend to have with all of your recipes). One of my friends was recently torturing herself on a cleansing diet, when she asked if I wanted her half gallon of Vermont Grade A amber maple syrup. I teared up, shared my Snoppy dance and made a beeline for the jug. Now kismet brings me your recipe. Ummm, tommy happy. Tom: It’s funny, because Europeans who get gifted a jug of maple syrup often don’t know what to do with it. They don’t eat pancakes or waffles drenched with it, but an Italian friend told me that she’s constantly gifted jugs from well-meaning Americans. 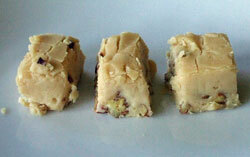 It looks quite similar to fudge… how is the taste compared to this? Okay, I’ve been eye-ing this recipe in your files for too long…enough is enough. The time is now. I can only make so many pralines and salted butter caramels. Lindsay: I feel your dearth of See’s mincemeat pain. I finally discovered that little gem, and then whoosh – they pulled the rug out. No more mincemeat…discontinued, they say. Not too many years ago, I decided I wanted to be a See’s lady for Halloween, but they wouldn’t sell me the white shirtwaist dress, if you can believe that. I even considered taking a part time holiday job there – just to get the dress. I LOVE the timelessness of that place, and am moved almost to tears every time I step inside that gleaming black and white palace of shiny and delicious perfection. FUN TRIVIA: Did you know the the famous candy factory scene in I LOVE LUCY (where Lucy and Ethel shove bon bons in their mouth in order to keep up with the assembly line) was filmed at the See’s Factory in LA? True story. Lime mousse sounds incredible: if you should ever find the recipe, please post the recipe. Thanks too for the link to this luscious new blog of Giovanna’s. And great Berkeley tale. I’m a sucker for them. I put everything in a buttered pan and cook until softball stage and then let it cool a while and beat it until it loses it gloss. Turn it out onto a buttered pan and press it flat and about an inch thick. 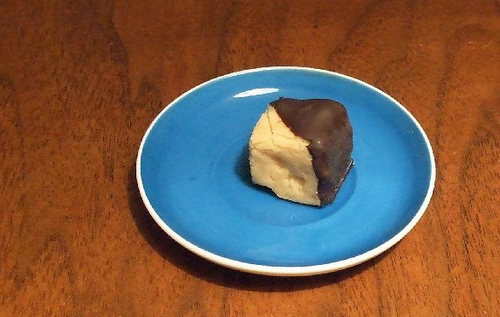 It has a wonderful texture that is creamier than any other fudge I make. Joanna–don’t give up on the mincemeat candies yet–See’s told me they just couldn’t get the right fruits this year, and plan on having them again for the 2009 holidays. Sometimes my apricot bonbons aren’t available either. I think It’s reassuring that everything isn’t always available. Lee, I’ll have to try yours–they sound maple-y! Joanna: Ha! That’s hilarious, to go out as a See’s lady…although I suspect you’d be innundated by people expecting a free chocolate! Somewhere back down the road I heard that there is actually a color, called See’s White, which is the white they use in their stores. When I was writing my chocolate book, I tried to get a tour of the nearby See’s factory but they told me it was off-limits, for insurance reasons, so I never got to go. But I’ll be it’s a pretty fun place to visit. Hi Giovanna and David! I made the maple creams this past Xmas. For some reason mine stayed very loose. I made David’s Devils Food cake and used this for frosting. They tasted amazing together. I don’t know what I did wrong but it tasted wonderful anyway! This is the 2nd time I’ve come across a recipe for maple creams today. Of course, yours look amazing – I’m intrigued! I second Mindy on the recipe for the lime mousse. My mouth is puckering in anticipation of that recipe. I’m gonna try this, looks delicious :-)! Clever, Debbie, putting it on a Devils Food Cake. If the maple creams come out too soft I like them on a spoon! Giovanna – Butterscotch squares were my favorite, too! Once, my brother gave me a whole pound of them for my birthday! And thanks for doing the research on the Mason-Dixon Line – I guess my Northern maple and Southern pecans can exist peacefully together with Kentucky bourbon. Yay! Wow these look really delicious and bizarrely enough today I started to tap one of our maple trees for the first time. I have been boiling it down this evening and am kinda gobsmacked at how much water you have to boil out so it may be quite a few days before I have enough maple syrup to make these candies..but you have given an excellent reason to carry on. 2. Check your candy thermometer for accuracy; place it in a pot of water and bring it to a boil. If you live at sea level, it should read 212F. 3. Realize that every so often, candy doesn’t work. I’ve had tried and true recipes that I’ve used and every once in a while (usually in front of an audience!) they don’t work. Sometimes it’s the ingredients, or some blame the weather. What a coincidence, just this afternoon I asked a penuche qestion @ the Chowhound site. 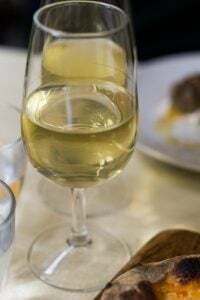 I’ve found a reliable recipe (Martha Stewart, it’s really delicious) but would like to know what kind of molds to use to make it into little shapes. Flexible or metal? So David I made my first batch and drew upon all the patience I had to observe the required temperature thresholds. I then whipped the cooling mixture thoroughly which was the time equivalent of watching one sitcom and three music videos. The results: confectionary perfection. I’m addicted. Man o man, these make fudge seem savory. I just got up from my sugar-induced coma and think I may run a half-marathon before retiring this evening. Dare I pop one more and I may just have to run to Portland. I feel a cooking project coming on. The rainy weather here in Tennessee requires candy. I made these last night, they are sooo sweet! Luckly maple sweet which is very morish. Mine are a little (too) soft. I cooked to 114C but measured in the middle rather than on the edge, so maybe I needed to cook it a little more. Any ideas, for my next attempt? These look so delicious and I am definitely going to make some soon. How I miss See’s Candy! I never thought that moving to the East would mean giving up this delicious store. I loved going to the outdoor strip malls both in Santa Rosa and Monterey and then walking into the See’s store and it would go from a pretty fresh smell outside to the sweet smell of chocolate and all their sugary goodies. You captured my (Berkeley 70’s childhood) feelings about See’s as well—-I used to bask in the cleanliness and order of the local See’s candy shop. My radical leftist mom still buys a pound a month. Thanks for bringing it all back! David I did make these and I have to say, they are unequivocally one of the best confections I’ve ever eaten. I was worried with the candy temperatures but followed your directions and was well rewarded. Merci David! I have a bottle of dark corn syrup in the cabinet, would this do? I rarely use the stuff so am hesitant to buy a bottle of light corn syrup to add to my pantry. Would dark corn syrup alter the taste in a bad way? Carrotcolor: I would strongly advise against using anything but pure maple syrup, for best results. 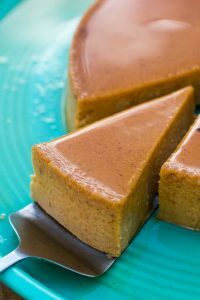 I have the maple syrup, but I wanted to know if I could substitute dark corn syrup for the 2 tablespoons of light corn syrup called for in the maple cream recipe. I made the maple creams last night and I can’t get them to thicken. I’ve reboiled it today and I’m going to try again. I just can’t throw out a cup of maple syrup, just too costly. Even after boiling a second time, it doesn’t seem too thick to me. Maybe after cooling down, it might thicken up? I made these today and I don’t think they’re going to turn out! I followed the recipe to a “t”…it took almost almost 2 hours for the mixture to cool down to the required 110F. Does that seem accurate? And even before I had one stir of the standing mixer, it was grainy. I beat it for a few minutes, but it’s grainy beyond belief! Great flavor, but awful texture. What did I do wrong? Any ideas? Mel & Carrot Color: Because this recipe isn’t mine, I can’t trouble-shoot it, I’m afraid. I’ve made it numerous times and it’s come out as shown in the photos. But perhaps it’s worth trying to find the original book, Anita Prichard’s Complete Candy Book that it’s from (which is available used for as low as 49 cents!) for more detailed instructions and advice. I had the same problem as well – used two thermometers in case one was bad- this is the second time I’ve struggled with this kind of candy. Maybe it’s the uneven heat from the gas as I find that it takes forever to get to softball stage and the temp fluctuates up and down on the thermometer a lot (both thermometers) both are good taylor thermometers urrgh. I will try again as soon as I can get to Costco to buy another jug of maple syrup. Maybe remove from heat earlier, what was left on a spoon from around the 225 degree point was soft and chewy. I’ve tried the recipe three times. First time, didn’t leave it to cool long enough (I misread the recipe) and I used a hand-held mixer to beat it. Result: delicious but had texture. Second time, left it to cool to the required temperature. Tried to use my hand-held mixer to beat it, but it wasn’t up to the job. Beat it for a little while without any apparent change to the mixture, then it SUDDENLY went hard. Third time, left it to cool to the required temperature. Poured it into the bowl of my sturdy free-standing mixer. Beat it for 45 minutes. (Three quarters of an hour). No apparent change to the texture. In that time, I tried high and low speeds. Nothing worked. Eventually, I added some icing sugar and beat it some more. Not much change. Stopped the machine to change to a dough hook instead of a beater, and it immediately went hard. And now: my question. Could you tell us how you do the beating when cool and how long it usually takes? Laura: As mentioned in the previous comment, the recipe isn’t mine and was from a book by Anita Pritchard. Giovanna adapted the recipe here, which she made as shown in her pictures in the post. I’ll ask her to comment if she’s able to, but I do recommend checking the original recipe for guidance as well. 1) Sift granulated sugar (which often clumps due to moisture absorption) before measuring. 2) Be sure to wipe sugar crystals from the sides of the saucepan (for this recipe, in step 2, when you combine the ingredients, cook over low heat, stirring, until the sugar dissolves–then wipe sides of the pan with a paper towel and insert thermometer). 3) Avoid jarring the syrup. Once it reaches the boiling point it’s especially sensitive, so don’t stir it between the time the sugar’s dissolved (in step 2, when you clip on the thermometer) and when it has cooled down to 110F (step 4). I find it easier to leave the syrup in the pot when cooling to 110F (in step 3), and then to stir it with a wooden spoon (instead of an electric mixer)–it is easier to feel it thicken and see the syrup lose its glossiness. If you’re not sure about your thermometer, try using the old-fashioned temperature test. You’re cooking the syrup to the soft-ball stage–try dropping about 1/4 teaspoon of the syrup into a cup of cold water (not ice-water). Immediately pinch the ball of syrup between your thumb and finger–the syrup should form a soft ball that flattens between your fingers (here’s a visual candy temperature guide and here’s a video). Finally, I find it enormously helpful to relax when I make candy. Follow the directions, don’t try doubling the recipe, and go easy on yourself. If it turns out a little grainy, ah well…I go ahead and eat it anyway. It’s candy–it’s supposed to make you happy! These candies were delicious! Just one quick question: how did you make the candy oblong? Did you use a candy mold, or did you just use your fingers? I tried making this recipe and it turned into a goopy mess and a waste of maple syrup. I know it isn’t your recipe, but can you please be more specific about heating over high or med. heat to get to 236F and how long you are supposed to beat the mixture after it has cooled. Joseph: Since you’re heating it to a specific point, it’s not essential the exact speed of the heat; it’ll reach that temperature quickly or slowly, eventually. But in general, medium heat works for most people so they can monitor what’s happening. It isn’t my recipe, although I’ve made it a few times successfully. Giovanna left some notes in the above comments and I’ll ask her to check back in here and see if she has any advice. Newish to candymaking (caramels & brittles only before this), I wasn’t sure I would know when the mixture had started to thicken or lost it’s gloss. The candies turned out perfectly (thanks for the recipe!). Here’s what I would tell other maple cream virgins–when it’s time to stop beating, the mixture will look exactly like chocolate chip cookie dough looks before you add the chips. It will appear to have the same texture and even the same color. It took me about 15 minutes to get to that point on my stand mixer’s highest speed. I can’t wait to send these to my maple-loving mom for Valentines Day!